Thirteen species and one variety of lichens, nine lichenicolous and two saprobic fungi are reported for the first time for St. Petersburg, the whole Leningrad Region or its western or eastern parts. 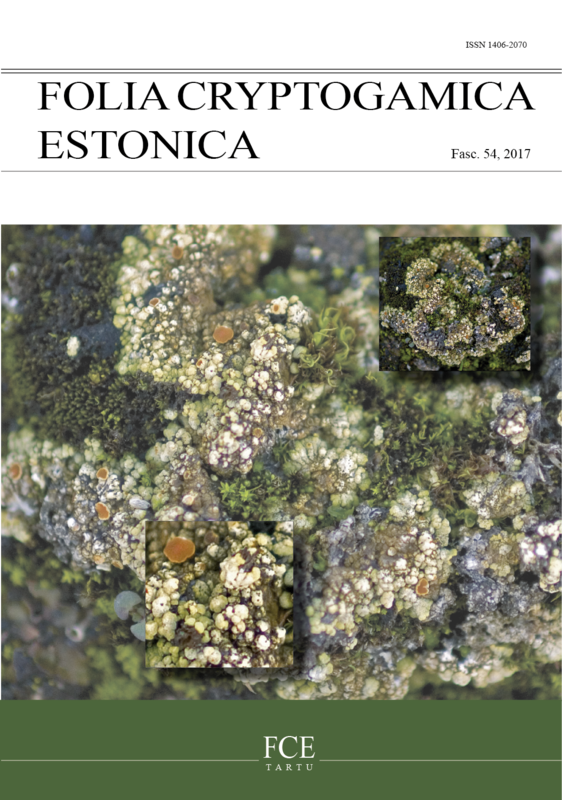 The lichens Bacidina brandii, B. neosquamulosa, Porina leptalea, Rinodina aspersa and the lichenicolous fungus Scutula dedicata are reported for the first time for Russia, lichenicolous fungus Lichenoconium aeruginosum – for European Russia, the lichen Tetramelas chloroleucus, lichenicolous fungi Lichenoconium pyxidatae and Tremella cetrariicola are new for the North-Western European Russia. The most interesting records are briefly discussed.